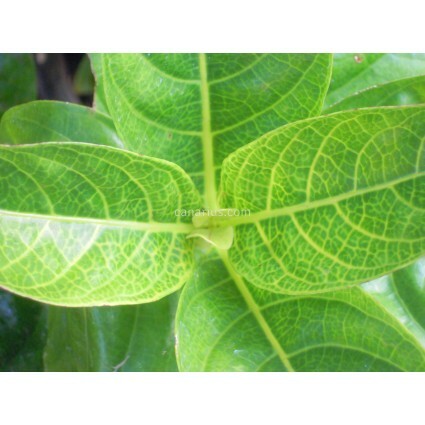 Exotic shrub with glossy golden-green leaves decorated by a network of dark green veins. Eevergreen, for frost free areas, suitable to pot colture. Exotic shrub with golden-green leaves decorated by a network of dark green veins. Pseuderanthemums are evergreen shrubs for frost free areas, also suitable to pot colture. They bear thick, glossy onamental foliage but also elegant flowers. Pseuderanthemums are evergreen shrubs for frost free areas, also suitable to pot colture, native to the Pacific Islands. They bear thick, glossy onamental foliage but also elegant flowers. Leaves show beautifully patterns in shades of grey-green , often with irregular patches of white or yellow and with purple tones. They are easy to grow, in half shade, or in full shade if grown in hot climates. They are tender to frost, but they can be brought indoors in the coldest months and kept as house plants. False Eranthemums are wonderful for contrasting with green or gold-foliage plants - great accent plants for containers on the porch or patio. We ship a robust, sun-grown plant, cultivated in a 16-18 cm pot, of variable height of 40-70 cm. This is a fast growing species and it is produced once or twice a year so the specimens can be 40-120 cm tall. We will always try to select a compact robust plant for you. In some cases we will prune the plant before shipping. This is because some plants are too tall to fit in the box and also because the upper branches are too tender, so pruning will be helpful during the transit. It will surely grow back soon because it is a fast growing plant, commonly pruned in gardens. Depending on the season, this plant can be sent bare-rooted, with the roots wrapped in moist sphagnum or perlite. Be prepared to plant it in a pot of at least 18 cm, filled with good garden soil and place it in full sun, at 16-30 C. We ship worldwide.